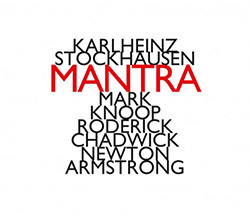 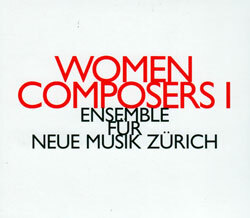 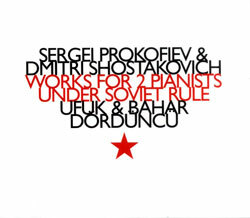 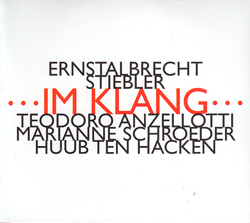 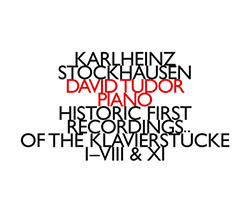 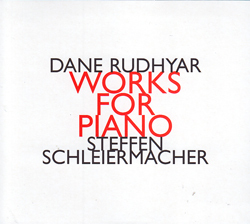 Originally conceived as a cycle of 21 solo piano pieces, composer Karlheinz Stockhausen only completed a section of these Klavierstucke works, eventually transforming the series for synthesizers and electronic instruments; Hat Hut now restores the original recordings from the 50s by the pianist Stockhausen dedicated some of these pieces to: David Tudor. 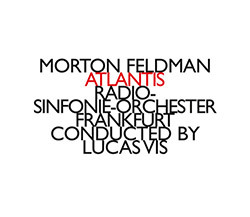 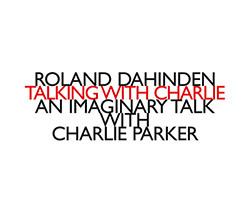 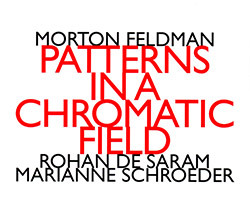 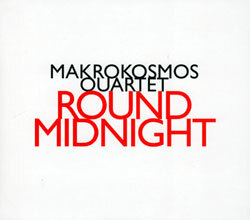 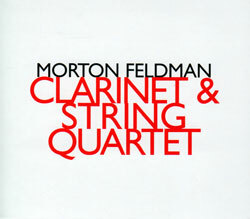 Bass clarinetist Gareth Davis asked composer Roland Dahinden to write for his quartet, with Koen Kaptijn (trombone), Dario Calderone (double bass) and Peppe Garcia (percussion), the result this "imaginary talk" with Charlie Parker, captured in a score involving graphic as well as more conventional elements, allowing structure and improvisation for the players. 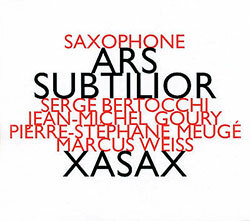 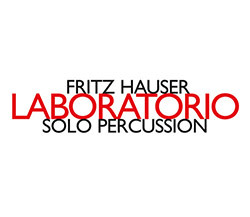 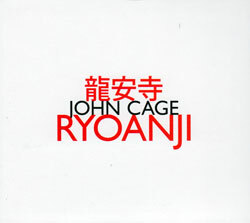 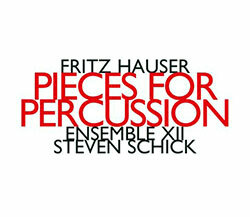 Swiss drummer & percussionist Fritz Hauser's solo album creates a fictional percussion center that he uses as as springboard to compose solo works for spaces within the [non-existent] environment, depicted in both spacious and active sound work, generating open-air locations with bird sounds and cymbals and areas of quick-paced activity; absolutely impressive. 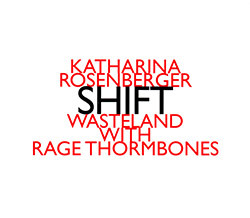 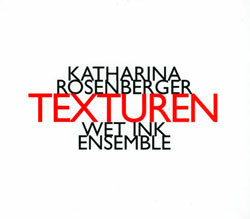 First recordings of composer Katharnia Rosenberger's SHIFT and other dynamic and exciting works incorporating spatialization, by an electroacoustic orchestra including Rage Thrombones, captured in 2016 at the University of California, in San Diego, California. 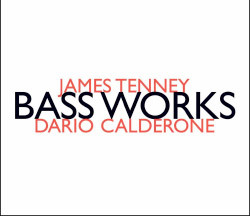 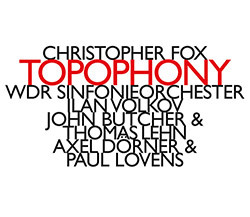 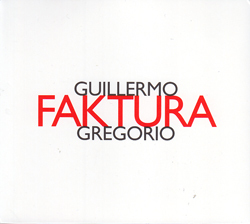 Fascinating works for doublebass from American composer James Tenney, 3 pieces for solo doublebass, and a large work for viola, cello, doublebass and tape delay system, performed by bassist Dario Calderone with William Lane on viola and Francesco Dillon on cello. 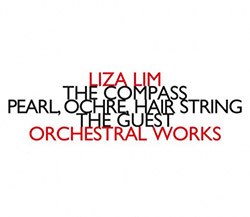 Composer Liza Lim presents 3 lesser known works: "The Compass" for orchestra with solo parts for flute and didgeridoo; "Pearl, Ochre, Hair String" featuring a cello solo using a guiro bow; and "The Guest" written for recorder soloist Jeremias Schwarzer. 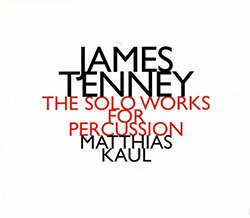 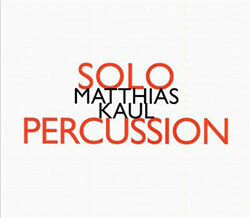 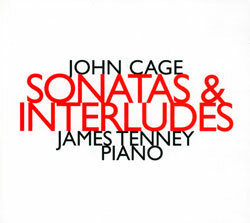 Five works from composer James Tenney for solo percussion, performed by Matthias Kaul, plus one work for tape and percussion and one work for percussion and tape-delay-system with Rudiger Orth ("Deus Ex Machina"). 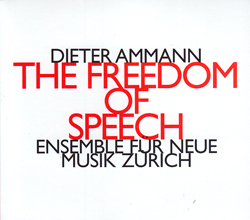 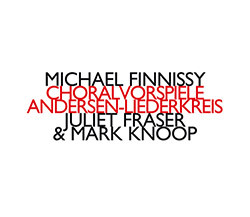 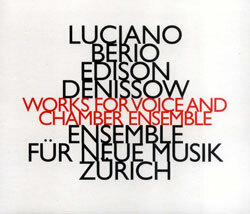 The Ensemble fur Neue Musik Zurich plays seven pieces by Swiss composer Dieter Ammann, each made through a very slow creative process that contrasts the very lively and gestural music. 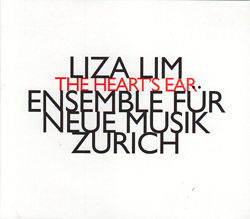 Although she has probably become known as one of Australia's best-known composers, Liza Lim's compositions undermine centuries-old Eurocentrism and are largely inspired by Asian culture. 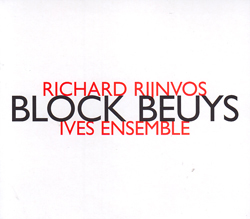 A series of compositions by Richard Rijnvos that were inspired by an installation in the Hessisches Landesmuseum consisting of an arrangment of about 270 objects known as the 'Block Beuys'. 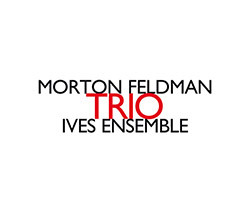 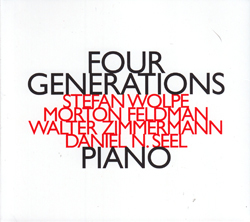 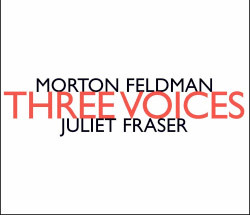 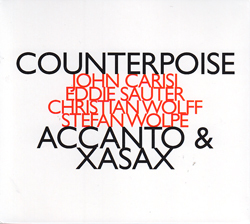 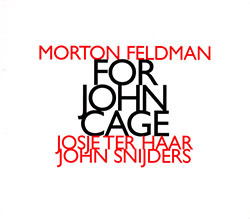 Four composers - John Carisi, Eddie Sauter, Christian Wolff, and Stefan Wolpe - create a program of works with a measured balance in the interrelated and contrasting material. 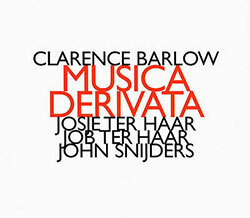 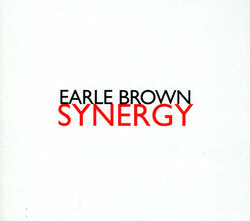 Composer Clarence Barlow, like Beethoven, builds his own labyrinths, brick by brick, and then searches for an escape by creating conceptual forms to get around the traps of time, tonality, and style. 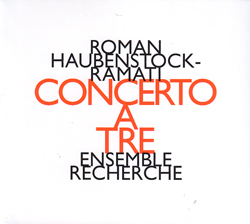 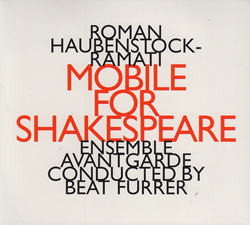 Ensemble Recherche plays chamber music pieces by Polish composer Roman Haubenstock-Ramati that are dynamically explosive and allow for the free communicating of the musicians. 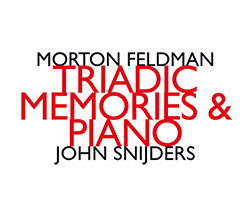 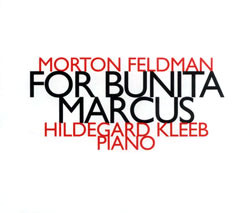 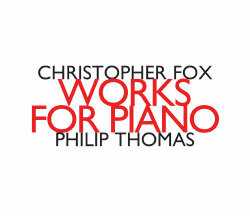 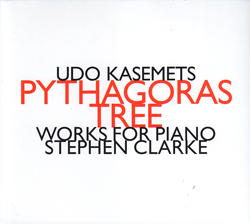 Pianist Stephen Clarke plays seven works for solo piano by Estonian-born, Canadian-naturalized composer Udo Kasemets that focus on specific designs of micro-detail. 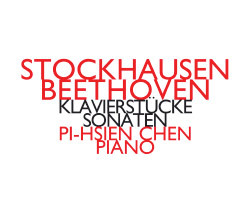 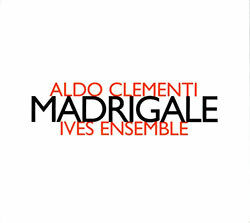 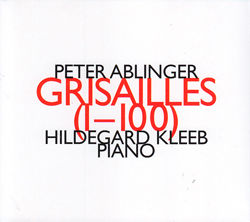 Composer Ernstalbrecht Stiebler presents three solo pieces, one for accordion (Teodoro Anzellotti) one for piano (Marianne Schroeder) and the third for organ (Huub Ten Hacken). 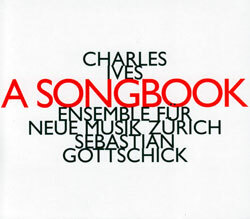 Sebastian Gottschick's adaptations of Ives' songs and short instrumental pieces pay homage to the composer and develop his work further, as conducted by Gottschick with the ensemble fur neue musik zurich. 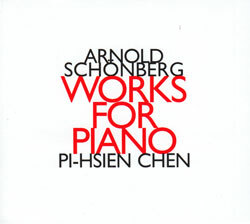 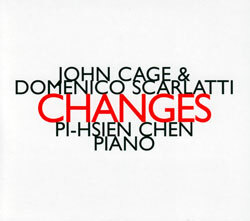 Pi-hsien Chen performs Arnold Schonbgergs, a small part of his oeuvre, yet significant in that they reflect the evolution and development of this great composer's compositional powers. 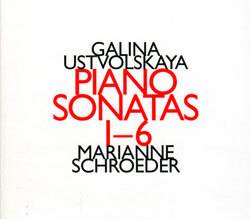 Russian composer Galina Ustvolskaya's piano sonatas performed by Marianne Schroeder, innovative works that integrate dissonance, drone, overtone and harmonic density.